One of the many ambitions of Maytree Press, as well as publishing some of the finest contemporary poetry, is to collaborate with emerging artists for our cover designs. We want people to recognise a Maytree Book, not only for the quality of poetry, print and paper, but for the unique cover art. A great concept, you might agree, however when a wonderful poet presents you with a manuscript that focuses on ideas around extending the boundaries of ekphrasis then this does present a new publisher with such ambitions with some difficulties. Maria Isakova Bennett’s …an ache in each welcoming kiss was such a manuscript that at first reading we knew we had to publish but the question loomed – what to use for the cover art? The team explored various ideas but in the end we decided to focus on one of the artworks that had inspired the sequence. Maria’s title led us almost instantly to Hope by George Watts which had inspired the poem, Broken Lyre. The image seemed perfect and the poem that it had inspired was key to the sequence; so much so that an extract was chosen for the back cover. Personally, as an old Art History student, I’ve loved the image for many years and seeing an opportunity to now be linked with it, albeit in a small way, felt very special. There are obvious pitfalls with using such a well known, and loved, image and none more so that it has probably been used many times before and associated with other people’s work. To start, we began the unenviable task of due process, where, using a variety of internet search terms, we started the task of checking whether Hope had any hope. From our research we found classical music covers, magazines and even backpacks (pictured) but no recent poetry or novels that would conflict so after careful consideration, Maria and the team decided to go ahead with Hope as the cover image. Matched with Anita Kelly’s wonderful design we were overjoyed with the final results when presented with the proof and decided to save the reveal for World Poetry Day as many readers will recall. The cover and concept received a wonderful response across the internet but later that same night both Maria and the Maytree team received an unsolicited email suggesting that we might be in for a poetry spat. Maytree and Maria don’t do spats so we looked in to the matter and to our dismay, found that Hope had in fact been used recently for the cover of a recently published Valley Press poetry collection. Valley Press have been a publishing company who we’ve admired for a long time, a company that has published and worked with our in-house editor previously, so the last thing we wanted to do was upset anybody. We contacted Jamie at VP to alert him of the issue and discuss our marketing plans. Jamie was, as always, the perfect gent and extremely understanding. We also contacted the author of the earlier collection to offer our apologies. The difficulty, however, was that Maria had already received dozens and dozens of pre-orders based on our original advertisement and we really didn’t want to let the people who had showed such wonderful support down with an alternative cover. After much deliberation, and soul searching, the decision was taken to continue with our original plans but limit the first edition to three hundred copies. An alternative image exists for the re-print but you’ll have to wait to see this Maytree original. Maria’s book is now available either personally from Maria or on-line via our shop or major retailers – but be quick, especially if you want a first edition with Hope. It’s World Poetry Day and what better way to celebrate than with a cover reveal for our second publication. …an ache in each welcoming kiss by Maria Isakova Bennett features a selection of poems predominantly written during visits to the Walker and Lady Lever galleries on Merseyside. During this period, Opalka was written for Tate Liverpool as part of An Imagined Museum. Themes linked to absence and ideas around elegy developed as the sequence progressed and whilst the poems complement the works cited, the poetry reflects universal themes of the day. …an ache in each welcoming kiss will be published on 3 May 2019 – look out for more news and how you can pre-order to be the first to receive this stunning collection. The cover features the painting, Hope (1886) by George Watts (© Tate) which inspired the poem, Broken Lyre. Design work by Anita Kelly. Have you spotted our new logo? Huge thanks to the very talented Anita Kelly for giving our small press its very own identity. We love it! Swn y Morloi by Hannah Stone and …an ache in each welcoming kiss by Maria Isakova Bennett will be the first two pamphlets to take their fledgling steps from the Maytree. Here’s a taster from Hannah’s paean to the wilds of Pembrokeshire. an enigmatic ‘fort’ is marked. and watch the sun quench itself in the Irish Sea. 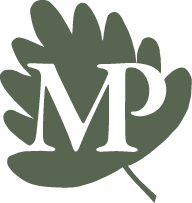 Welcome to Maytree Press, an imprint for The Poetry Village – if you’re not familiar with our work the take a look at our webzine here. Thanks for joining us! Maytree Press is officially open for business and we look forward to receiving your poetry submissions. Please read our submission guidelines carefully before sending your work.